Recent traffic has revealed some kinks in the comment system here. Specifically, line breaks were getting lost, so nicely-formatted replies appeared as dense blocks of text. It turns out that this was a result of the overzealous action of HTML Tidy in the comment spam filter. Those responsible have been sacked. Now you plebeians can use whitespace, too! 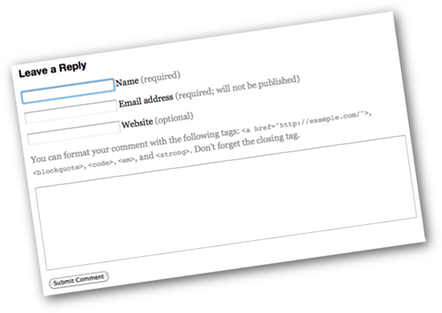 You can subscribe to an RSS feed for the comments to a specific post by appending /feed/ to the post URL. Most browsers should detect this option and list it wherever news feeds are normally sold. Void where prohibited. Posted on Thursday, March 4th, 2010.